The Boulder Cork has been a favorite Boulder area restaurant since 1969. Don’t be fooled by its steakhouse moniker. As a part of the Cork and Cleaver group 44 years ago, The Boulder Cork has maintained its steakhouse appeal, but it’s been a forerunner in all food trends, starting with the farm to table concept, which their chef has practiced for decades. He and his kitchen staff keep a garden on the premise for herbs and perennials. The head chef has been purchasing from local farms for thirty years. He and his wife travel extensively, and he is constantly updating traditional dishes and creating new ones based on the best of cultural traditions and trends. The owner of the Cork also enjoys traveling, and he works closely with his chef and his general manager in keeping The Boulder Cork on the cutting edge of food preparation and presentation and a dining atmosphere that is aesthetic and reflective of the entire dining experience. Owner, chef and manager have been the central part of the Boulder Cork family, all being a part of it for over 30 years. The Boulder Cork has received awards locally and on the national level with many awards from The Wine Spectator. The team at The Boulder Cork are committed to excellence in service, product and experience. 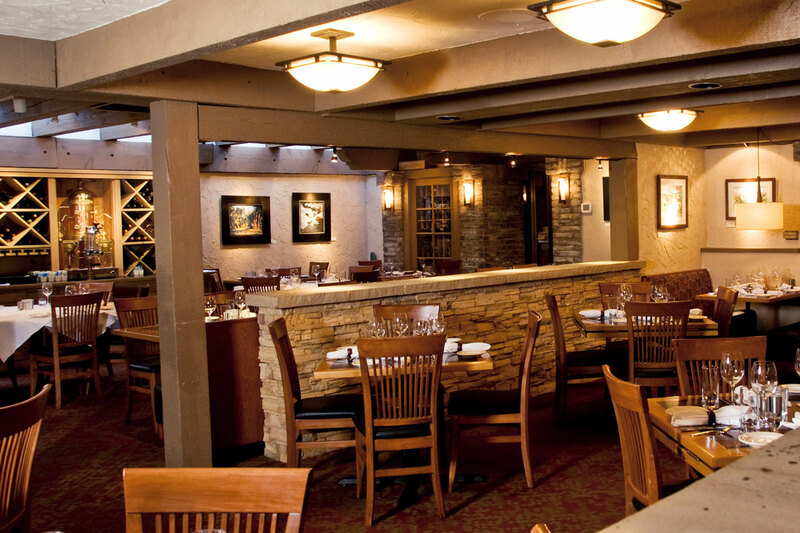 The Boulder Cork offers a happy hour menu, early bird dining, and an extensive bar and dining menu. The Happy Smackah is proud and honored to once again have The Boulder Cork as a Platinum Sponsor.